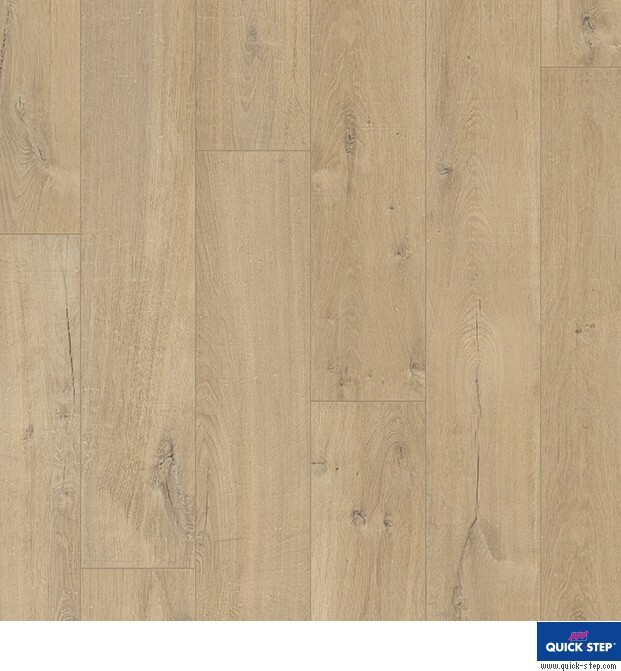 Change your home or office interior by replacing the flooring with this stunning wood effect Quick-Step Impressive Ultra Soft Oak Warm Grey laminate flooring. 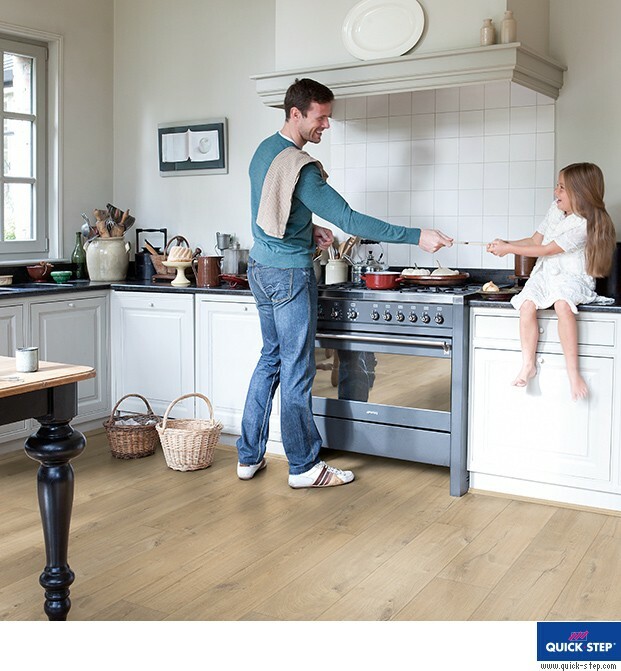 Check out the photos above and see how the rustic look wide planks add charm to a room with its detailed wood grain design. 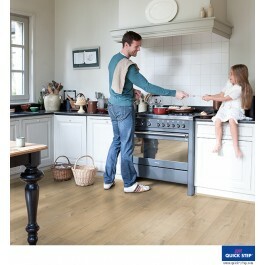 The light tones of the "wood" floor are great for achieveing a light and contemporary look in your home.